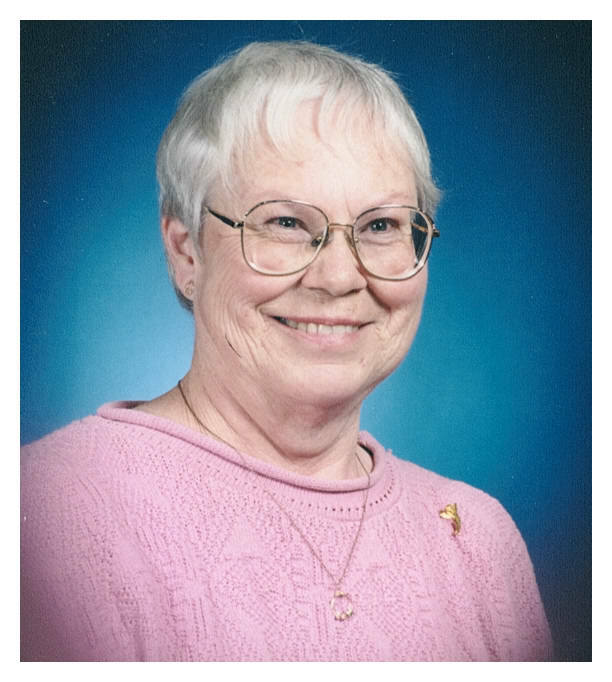 Edna Mae Harvey Daugherty left this earthly life Friday, April 5, 2019 to join her family in Heaven. She was born November 20, 1937 in Midwest, Wyoming to Rolland A. Harvey and Helen Hibler Harvey, completing the family of brothers, Robert, Rolland, George and sister, Donna. Being the last to arrive, she was the last to leave, with all of her immediate family proceeding her in death. When she was 9 months old the family moved from Midwest to Elk Basin and then in 1953 the family moved to Powell. Edna graduated from Powell High School with many friendships that have continued throughout the rest of her life. Edna was never blessed with children of her own, but gave all her motherly love to her sister Donna’s two boys when she became unable to care for them. Edna considered Glenn and Rodney Scheeler as sons, rather than nephews. In 1975, Edna’s heart was broken when Rodney was killed in an oil rig accident. When Glenn married Coleen Lewis and began to have a family, she acted as “Grandma” never forgetting birthdays and attending all the kid’s events and family gatherings. Edna passed away on Friday, April 5th, 2019 in her home. She is survived by many nieces, nephews and cousins including Special Nephew, Glenn and wife Coleen Scheeler, their children Chris with his children, Tristan, Trayton, Ava, Tatum, Trevin and Adalyn; Cara and husband Dennis with her children, Caden, Chasnee, Chareasa and Carstyn; Craig and wife Tiffani with their children, Mckenna, Jackson and Chloe; Clayton and wife Justine with their son, Grady. Edna will also be greatly missed by many close friends and her four legged companion, Roxie. Edna was proceeded in death by her parents, her husband, Carl, siblings, two special nephews, Rodney Craig Scheeler, and Chris’s son, Tanner William Scheeler. Also at heaven’s gate to greet her were friends, Betty and Mary. Per Edna’s wishes, cremation has taken place and services will be held on Friday, April 12th at 2 pm at the First United Methodist Church in Powell. In lieu of flowers, Edna would love for your donation to the animal shelter in her name.